Dental technology, in Reedsburg WI, with athletic mouthguards, oral cancer screening! 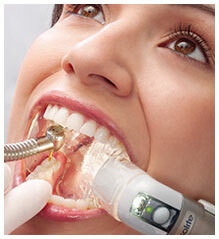 We offer the latest advances in modern dentistry, because we value your comfort and your time. Dr. Hatch knows that early detection and less invasive procedures mean quicker healing and better results for you. To us, your good health means the world! The Piezo Scaler™ is an ultrasonic tool that allows us to rapidly remove hard deposits of plaque and tartar from your teeth without scraping. High-frequency vibrations work beneath the gumline and into the deep pockets that can form around your teeth, as in the case of gum disease treatments. Many patients report that they experienced less discomfort with the Piezo Scaler than with traditional scaling instruments. Your teeth will never have felt so clean! Unfortunately, even with scrupulous brushing and flossing, some plaque remains on your teeth. Eventually, this plaque will harden into a tartar that is impossible to remove without a professional cleaning. Our team uses the latest advancements in lasers to provide you with the best in antimicrobial, debridement, and biostimulation treatments that promote thorough cleaning and faster healing. After all, regular professional cleaning is one of the best things you can do for your overall health. DEXIS CariVu™ is a portable caries detection device utilizing patented transillumination technology for the identification of carious lesions and cracks. 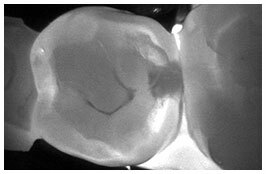 Working in the near-infrared spectrum, the light allows tooth enamel to appear transparent while porous lesions appear dark. 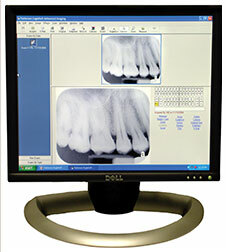 Produced images are similar to digital X-rays and allow Dr. Hatch to identify and treat issues with extreme accuracy. For best results, modern dentistry requires a dry and well-lit environment. Except in rare cases, the inside of the human mouth resembles a cave—damp and dark. At Hatch Dental, we're excited to provide a new technology called Isolite. 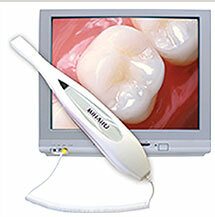 This amazing device combines powerful suction with a brilliant light that eliminates shadows inside the oral cavity. The Isolite keeps the teeth and gums dry and often eliminates the need for the bulky rubber dam. What does this mean for you? You'll spend about a third less time in the chair. Excess saliva won't build up to where you feel like you're "drowning or gagging." You won't swallow debris, because your mouth will be continuously "vacuumed." Your mouth won't get tired, because it's being held open. And Dr. Hatch will have better visibility for greater accuracy. At Hatch Dental, we're serious about sterilization. Whereever possible we use single-use tools. In addition, after every use all of our instruments are sterilized in an autoclave. This special unit is regularly monitored by an independent lab to ensure the highest level of safety and cleanliness. Your health is too important to us to take even the slightest risk. Our X-ray technology is digital, for both individual shots of your teeth and for one panoramic picture of both upper and lower jaws. We can acquire the images of your mouth and download them immediately into our computer. Even better, this "green" digital X-ray technology exposes you to 75% less radiation than conventional X-rays. Net result – better images, improved safety, and no chemical waste. In America, oral cancer takes a life every hour. That statistic has remained unchanged for the past 40 years. A sad statement when you consider that with early detection, oral cancer has a 90% cure rate. 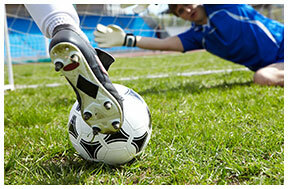 Here at Hatch Dental, we're looking to stop oral cancer in its tracks. 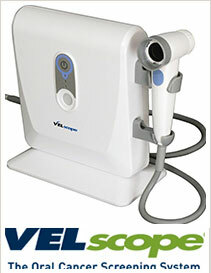 In addition to routine visual inspections, we use the newest FDA-approved oral cancer screening system, the VELscope™. This tool uses a specially designed light that makes any suspicious tissue immediately and easily visible during your exam. You're important to us. If we see anything that causes concern, we'll refer you to an oral surgeon. This screening could literally save your life! Nothing beats an easier, more comfortable dental visit. If you have questions about the latest dental technology, give us a call today at (608) 524-4775.